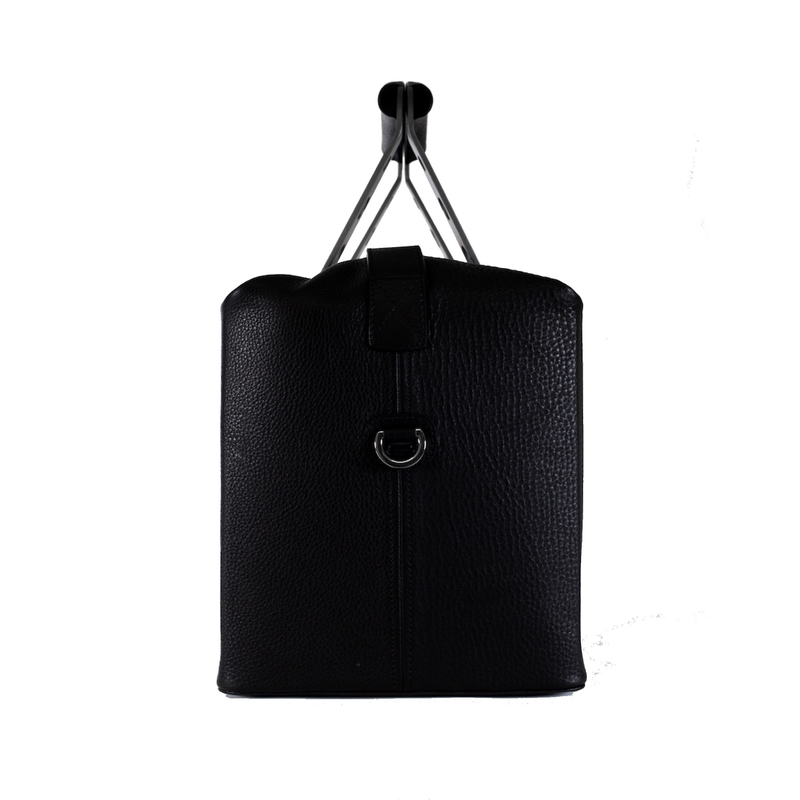 This small size leather travel bag with one single spacious compartment is designed to carry a 2 day supply of clothing and personal effects. 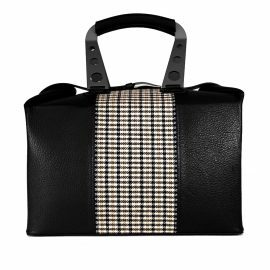 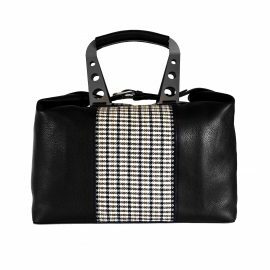 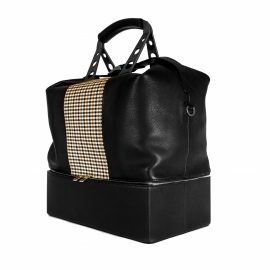 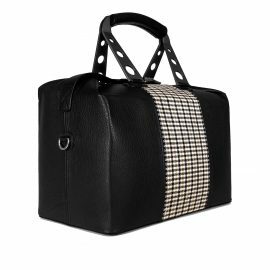 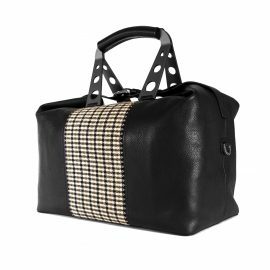 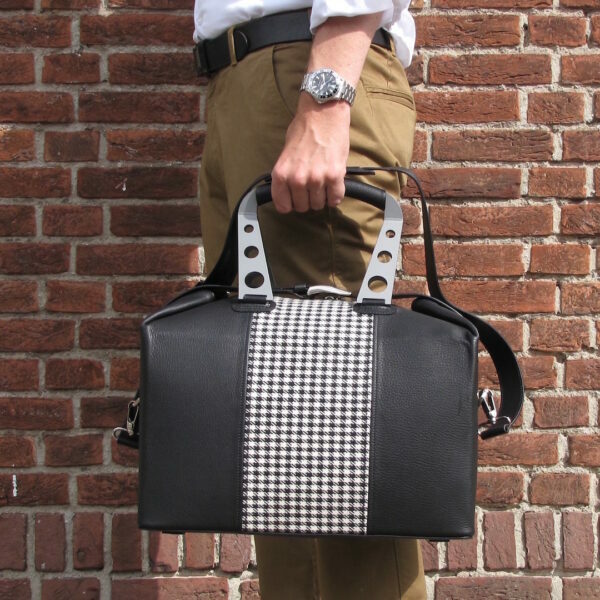 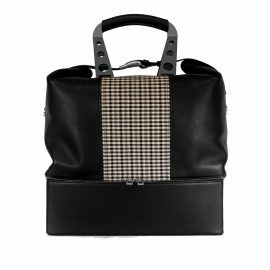 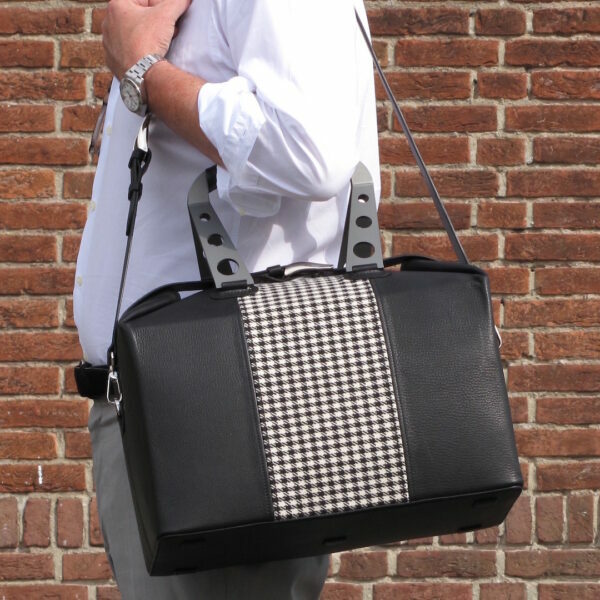 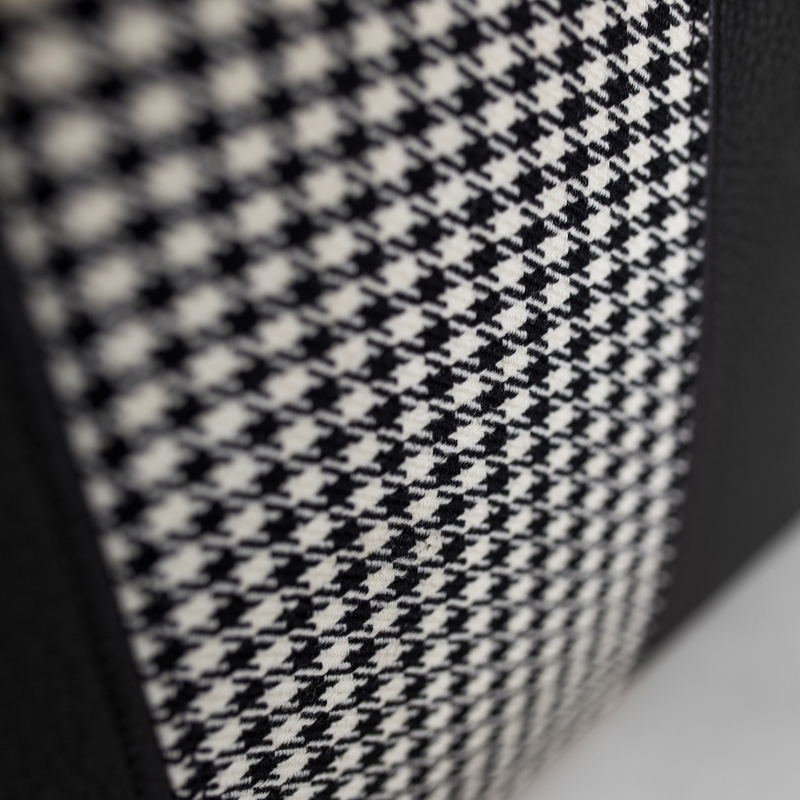 The Turini bag has two Haendel design-patented handles inspired by sports steering wheels already in use in the 60’s and a detachable, adjustable leather strap with a maximum length of 125 cm. 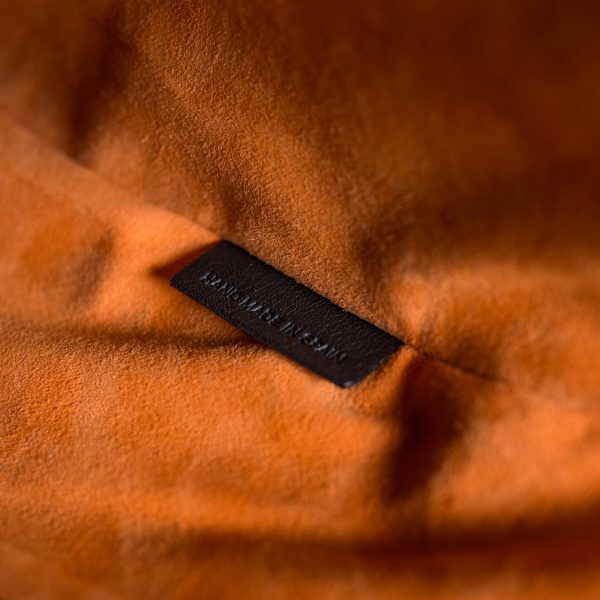 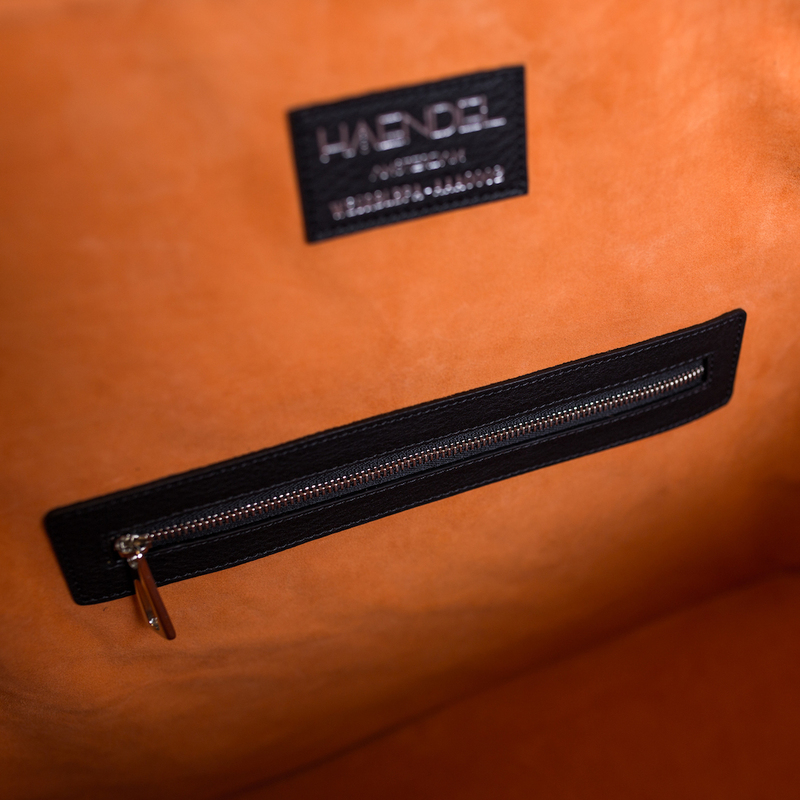 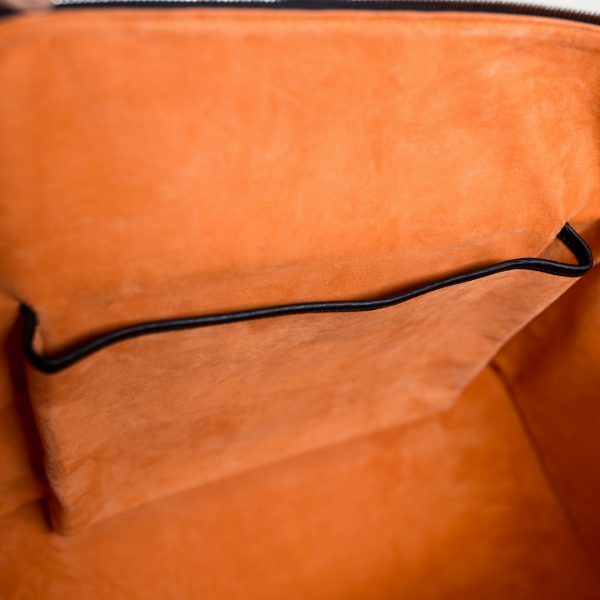 The Turini features a lush orange nappa-interior, large pocket for a tablet in a protective case and a slim passport pocket with zipper. 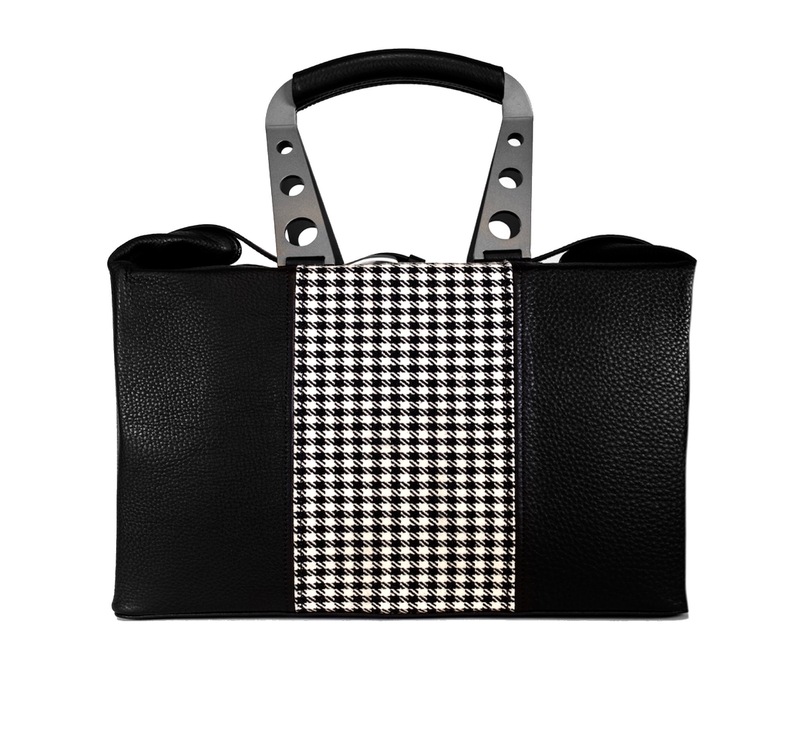 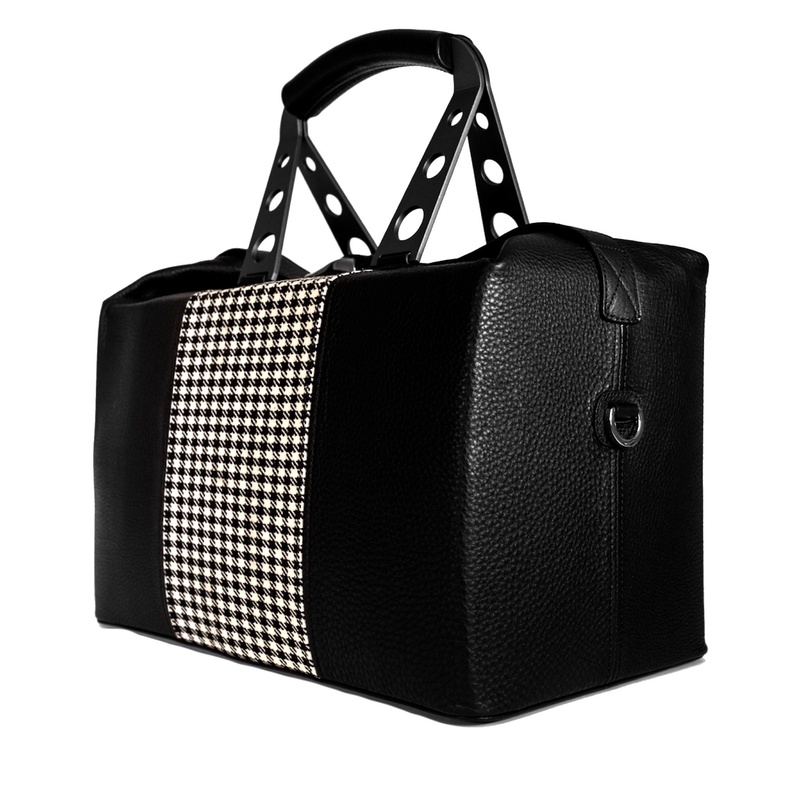 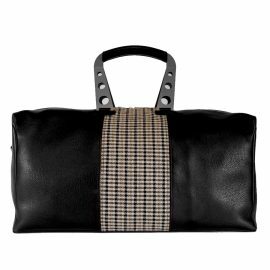 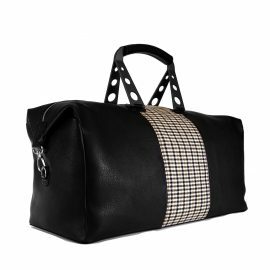 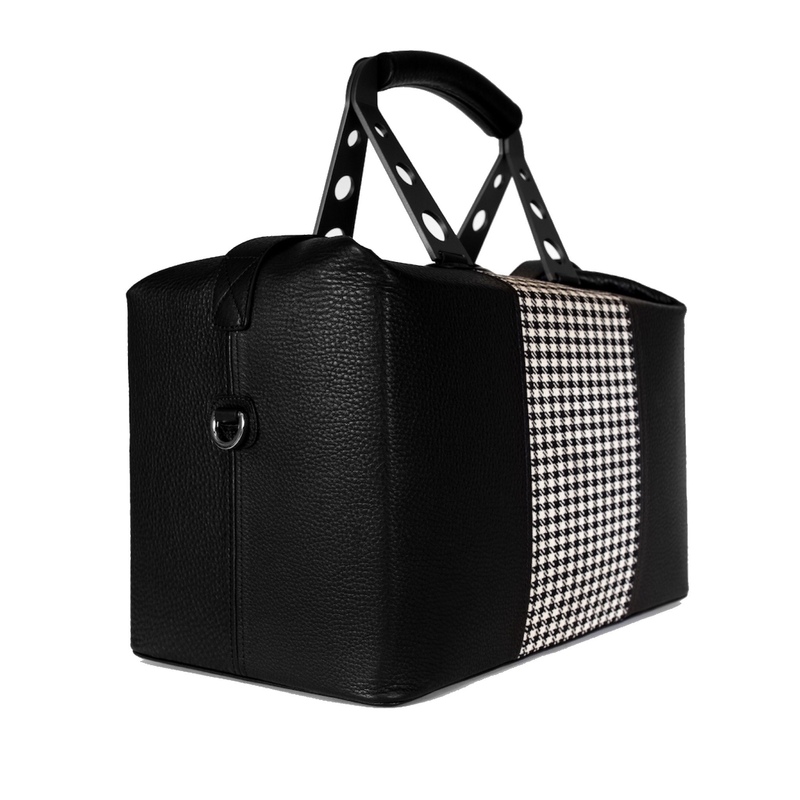 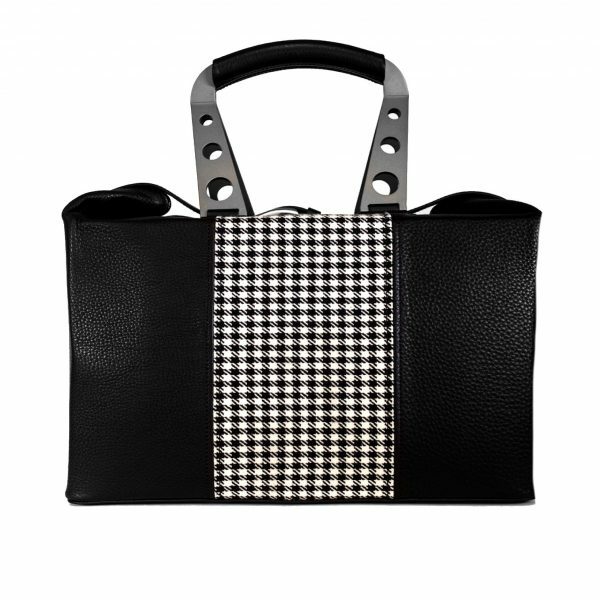 Makes for a distinctive overnight bag for the discerning traveler.